In this class, world-renowned educator and barber Sean Casey will teach you strategies to conquer every hair type. Sean will touch on everything from shear over comb to bald fades. Come have a good time and learn something new to add to your arsenal! 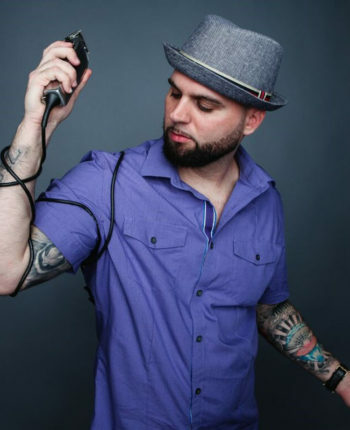 BIO: Sean Casey is a seasoned barber with 15 years of experience in both personal and corporate hair styling. He is a dedicated leader with a history of success in unique hair designs, barbershop management and business ownership. Currently, he owns two barbershops called TwinCutz and is active in several high profile competitions such as the New York Barber Battle 3 and Xotics Hair Battle. His film and TV work includes NYC Barber Battle 3: the Movie and NBC News.